We’ve been hard at work replacing snowmaking pipes and adding new energy efficient HKD snow guns on the Diamond Jim trail. In addition to these snowmaking enhancements, we’ve been improving and expanding upon our winter offerings like season pass holder perks, youth lessons, special events, and off-slope activities. We’re also excited to launch Cosmic Tubing on Friday and Saturday Nights, which will feature music and brightly colored lights illuminating our 900-foot-long tubing hill for a great new, family-friendly activity here at the Resort. We’re bringing back the Bike Park Season Pass Add-On option for all ski season pass holders for the 2018-2019 year. Priced at just $150, bikers save $90 off the original price and can shred the mountain all year round! What are the best apres ski activities available at the resort and in the area? 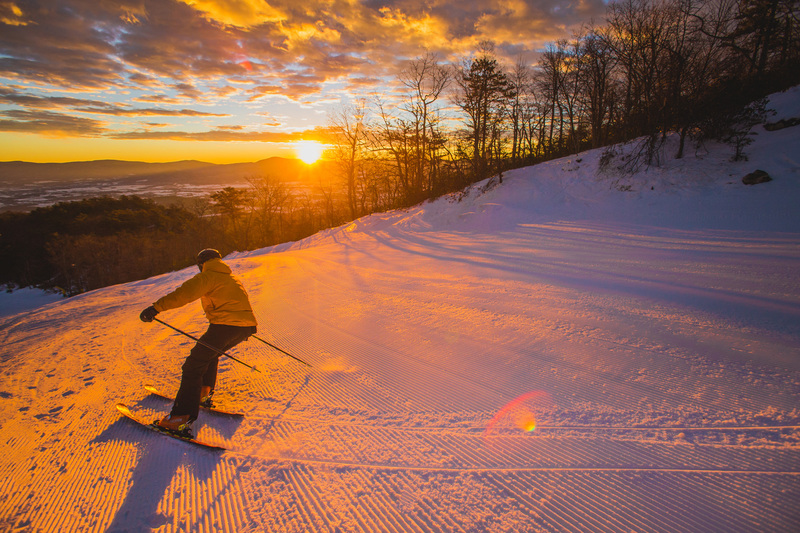 With Massanutten Resort’s wide range of restaurants and bars, events, and activities, you have a myriad of options for après-ski. You can find a full list of events here throughout the season. 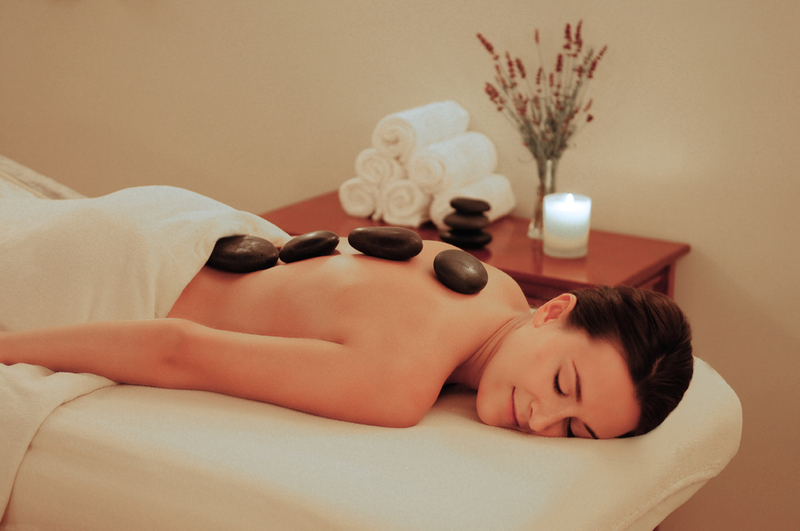 To relax and recharge after a full day outdoors, what can be better than a visit to Massanutten’s very own day spa. Combine aromatherapy with a massage for the ultimate relaxing experience. If your full day on the slopes leaves you craving a good meal, no worries! Whether you are looking for traditional southern barbecue or campfire-inspired skillet with local ingredients, our restaurants will take care of your hunger and your taste buds. Plus, there’s no better way to warm up than to come indoors and take a long, slow sip of something delicious. Base Camp Umbrella Bar is located at the base of the slopes, right on the Ski Lodge deck and offers a full menu, craft beer, and some of the most unique cocktails on the mountain, like the Smoked Pineapple Jalapeno Margarita. Enjoy your beverage at the bar or gather with friends and family around your very own deck-top fire pit. Encounters Lounge, on the second floor of the Ski Lodge, is open all through the week, with a DJ, live music, and dancing every Friday and Saturday night. Just show your slope-use ticket for free admission! 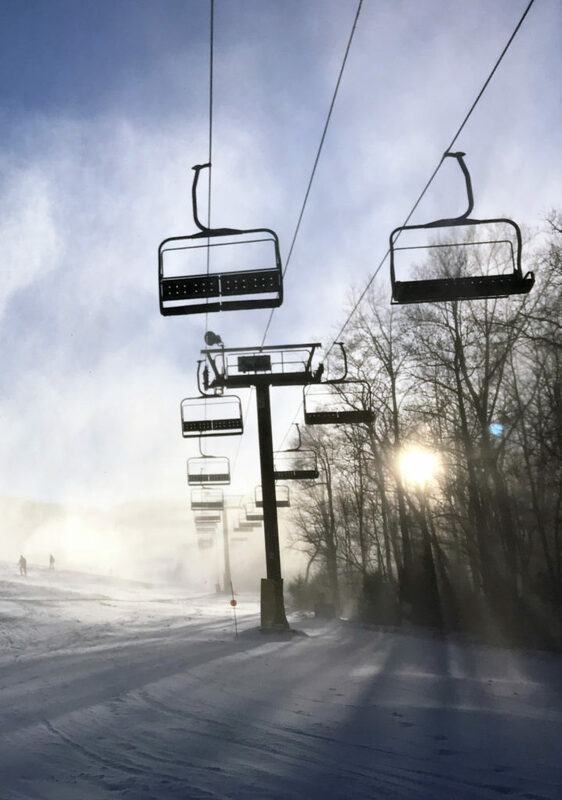 Massanutten’s very own Rental Shop provides skiers and snowboarders with the basic equipment they might need for a fun day on the mountain. Items rented include skis, boots, poles, snowboards, boots, and helmets. 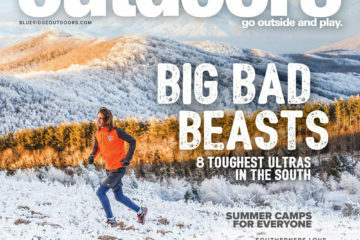 The General Store is a great place to find new gear on the mountain. 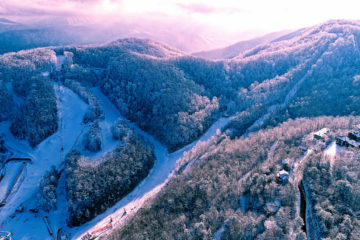 It is located at the top of Massanutten Drive, in the heart of the Ski Area. Also, be sure to check out Powder Shack Ski & Snowboard Shop, located just down the road on Rt. 33. If you’re looking to fill your days with adventure here at the Resort, be sure to visit the 42,000-square-foot Indoor WaterPark, 1920s-themed escape room, zip line, and snow tubing park. Or, try something new at one of our many Arts & Crafts classes. For those seeking a relaxing escape, the resort spa delivers a wide menu of services including manicures, pedicures, detoxifying massages, and more. At Massanutten Resort, there is something for everyone, all within reach. 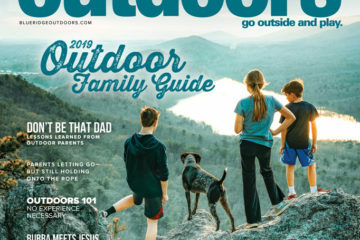 For a full list of activities offered, view our seasonal My Guide. Booking directly through Massanutten Resort gives you full access to all of the recreation centers and indoor pools, so be sure to visit our website for all accommodation options. If you’re looking to buy a home in the area, contact Massanutten Realty to search properties for sale on the mountain and in the surrounding valley. Our Snow Sports Learning Center inspires guests to actively learn skiing and snowboarding in a fun and safe environment. Whether you’re looking for a first-day experience or an advanced lesson that can improve technique, we have a program for you. 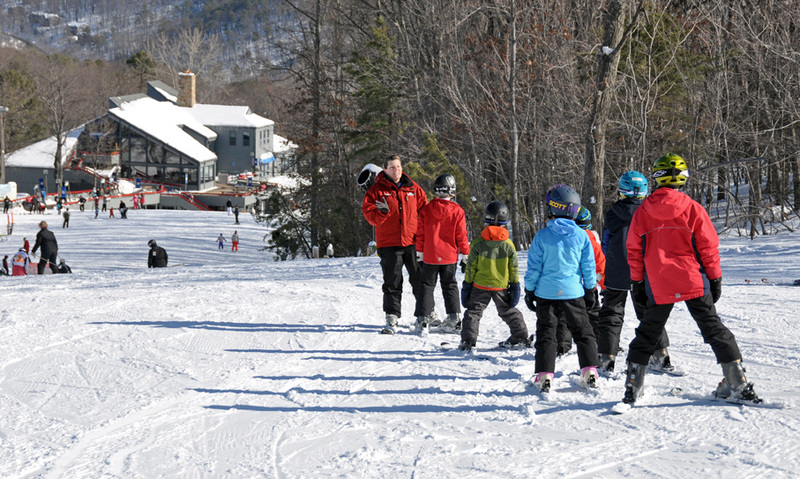 Mini Riders is our newest youth program for skiers and snowboarders ages 4-6. Mini Riders will explore movements on and off the snow to help develop the balance and coordination necessary for independent sliding. Program includes a 4 hour slope-use ticket, equipment rentals & helmet, and instruction from 9 a.m. to 11 a.m.
We also offer a comprehensive youth instructional program for beginners and intermediates in both skiing and snowboarding, ages 7 to 12 years. 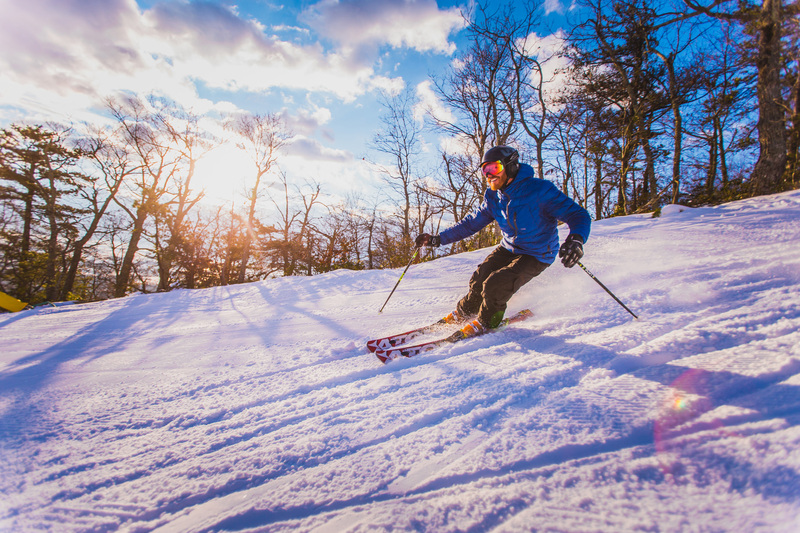 The Mountain Cruisers package includes an 8 hour slope-use ticket, equipment rentals & helmet, lunch, and instruction from 9:30 a.m. to 2 p.m. Mountain Cruisers often fills up in advance, so reservations are required. The 4,100-foot-long, black-diamond-rated Paradice is a local favorite, boasting moguls on one side and outstanding views the entire way down. As one of the East Coast’s premier family-friendly resorts, we are proud to offer a wide range of activities that all families can enjoy. Check out the award-winning Massanutten Indoor WaterPark, slide down our 900-foot-long snow tubing hills, spin around the ice skating rink, or enjoy an evening show. The possibilities are endless! 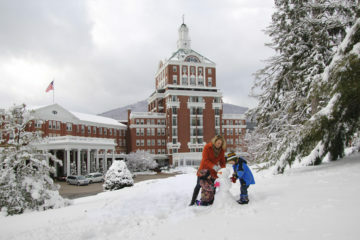 As an all-season resort, Massanutten is the perfect place to visit at any time of the year. 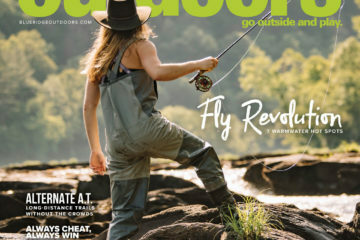 Outdoor enthusiasts and adventure buffs will enjoy Massanutten’s Mountain Bike Park, Ridge Rappelling & Rock Climbing Excursion, Canopy Tour, and hiking Massanutten’s Western Slope in the warmer months. Families will enjoy returning in the summer when the outdoor portion of the WaterPark opens up. 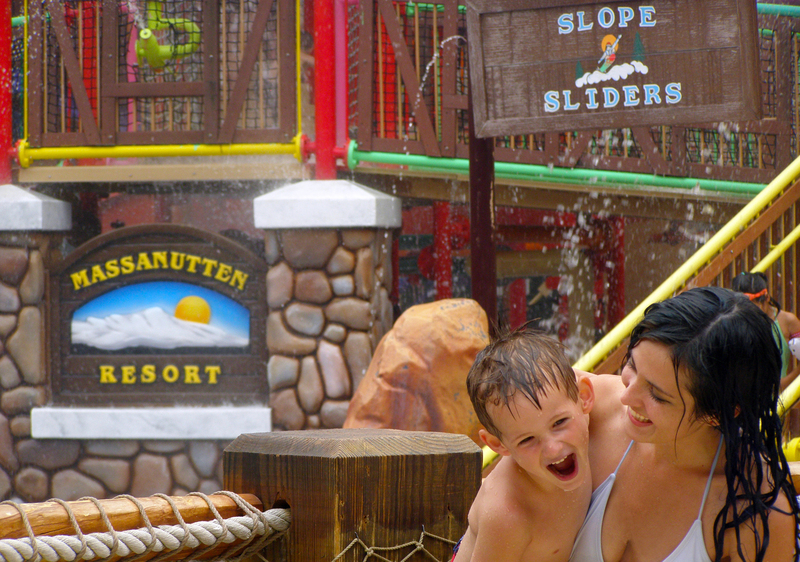 Spend your days a the Family Adventure Park, filled with summer tubing, gem mining, zip lines, and bounce houses.